Here’s some links so far. 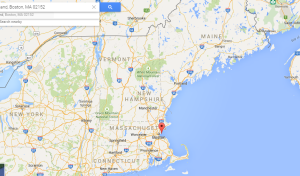 I’ve added a map to show Deer Island and it’s location to Maine. Left click on the map to enlarge. An investigation is underway after the remains of a young girl were found Thursday on Deer Island in Winthrop, officials said. A woman walking her dog in the area made the discovery around 1 p.m. and called 911. The remains of the little girl, who was wearing pajamas and was believed to be between 2- to 3-years-old, were found in a trash bag, sources told 5 Investigates. Officials said they are unable to determine the girl’s ethnicity, and an autopsy by the Office of the Chief Medical Examiner is expected to be conducted Friday. A woman hiking Deer Island this afternoon discovered the remains of a toddler-aged girl concealed along a walking path, state police said.